Met up with Jer Lin at Natz Bistro Lounge for dinner. 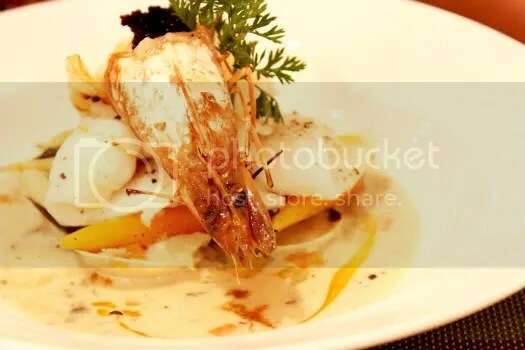 Natz bistro lounge has a well decorated space with one side lined with modern oil paintings. If I’m not mistaken, you can even buy them because I saw price tags next to each painting. It’s very cosy there with low human traffic as compared to all the noise outside from the pubs. The waiter was very friendly though sometimes it got a little difficult to attact anyone’s attention since we were left all alone! 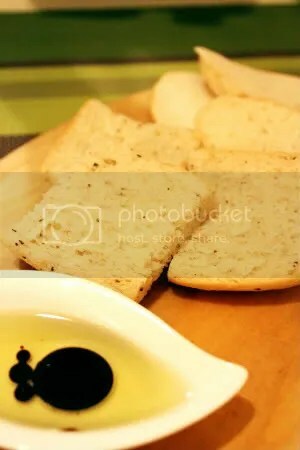 Small slices of herbed bread and white bread were served warm with the standard EVOO dip. I especially liked the fluffy slice of herbed bread perfumed with the warmth of oregano. My Red Snapper was really impressive. 2 reasonably-sized fillets well seared sitting on top of a medley of vegetables and creamy parsnip (tasted a lot like potato but lighter on the palate) mash. 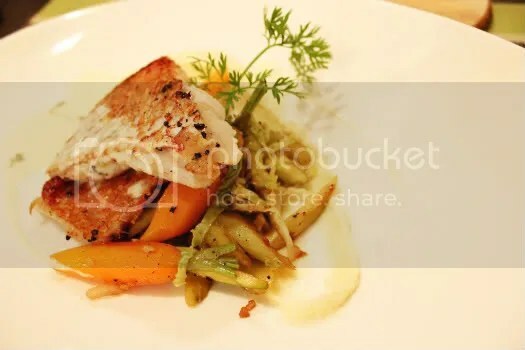 The fish was not overdone, it still remained deliciously sweet and moist. The baby carrots paired with the crunchy shredded savoy cabbage were obviously a winner for me:D And surprise surprise, the pieces of celery had none of that nasty smell that I dislike. 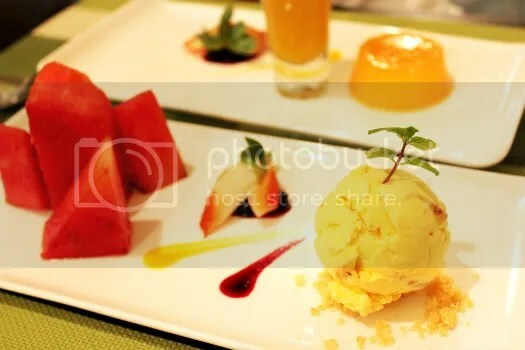 Dessert for me was Rock Melon and Mango. A simple mango pudding that was slightly tart and a shooter of rock melon cream mixed with bitter pomelo pulp. I’m not too impressed because my fruits at home taste much better but kudos to the brilliant idea of rock melon cream! It certainly does justice to one of my favourite fruits (: Overall a very refreshing ending but I guess I prefer things that are more sinful. No problems though, kki is just a stone’s throw away 😀 More about their sables in the next post! A lovely place indeed coupled with fantastic company of course. Definitely a keeper!